Thousands of Victorian customers have been cut-off from telephony and Internet connectivity as a result of the devastating Victorian bushfires. In a statement, Telstra CEO, Sol Trujillo, said its network had been significantly affected, and estimated the cost of rebuilding the network would be tens of millions of dollars. As at midday February 10, 2800 fixed phone lines, 2100 ADSL Internet connections and 47 ISDN phone lines were out of operation across Victoria, Telstra said. Eight Next G network and six GSM mobile towers are also offline in various suburbs including Marysville, Glenburn, Buxton and Wandong. “The bushfires have also caused substantial damage to Telstra’s telephone exchange and base station infrastructure, as well as to cabling,” he said in the statement. Telstra technicians have already been deployed to repair networks including those providing communications to Emergency Relief Centres. The Victorian bushfires have already claimed the lives of 173 people, but authorities warn the death toll will continue to rise. Fire fighters are still battling 22 blazes across Victoria, the most extensive in North East Melbourne and the towns of Marysville and Kinglake, where 35 people have been confirmed dead. Other locations devastated by the fires include Beechworth, Bunyip, Kilmore, and the upper Yarra Valley. Telstra has put together a disaster relief package encompassing free call diversions, mobile call charges at fixed-line rates, and free reconnections. The telco giant has also pledged $500,000 in cash to the Victorian Bushfire Appeal, and is matching personal contributions made by its staff dollar-for-dollar. Those wanting to access the Telstra Disaster Relief Package should call 13 22 03. Several vendors and Telstra suppliers are already showing their support and providing products to help restore communications. Hundreds of Next G mobile phones have been donated by Brightstar staff, while over 1000 mobile phone chargers have been provided by Nokia, ZTE, Motorola and Samsung. Toshiba and Retravision have also donated nine laptops for Emergency Relief Centres, and Netcomm has loaned over 40 wireless gateways to help bring Next G services back online. According to ABC local radio, three schools have also been destroyed by fire - Strathewen Primary School (near Kinglake), Marysville Primary School and Middle Kinglake Primary School. Sixty-one schools in Victoria have been closed due to the bushfires. 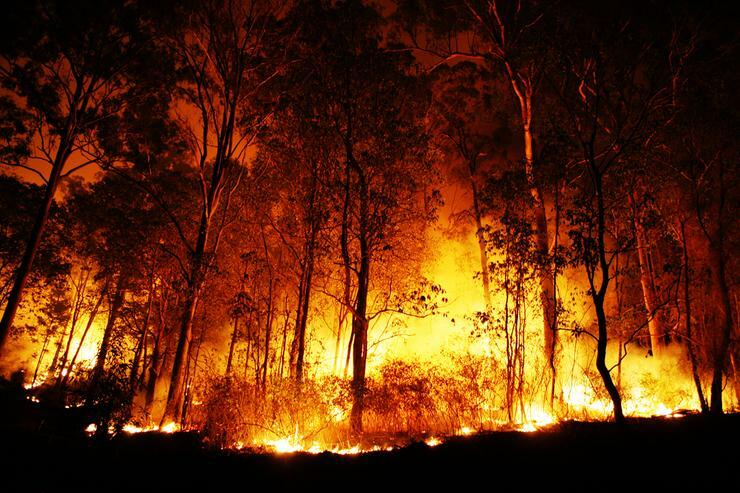 The Red Cross said Australians had already donated $15.1 million to assist those affected by the Victorian Bush Fires. Those wishing to make a cash donation can do so via the Red Cross website – www.redcross.org.au – or on 1800 811 700. The Red Cross has more than 400 staff now working in conjunction with the Victorian emergency services to assist the bushfire victims. Businesses wanting to make a financial donation, or engage staff in the Victorian Bushfire Appeal 2009, should email businesspartnerships@redcross.org.au or phone Daniel Murphy on (02) 9290 8943, Luke Gracie on (03) 9341 7520 or Nikki Williams on (03) 9341 7518.